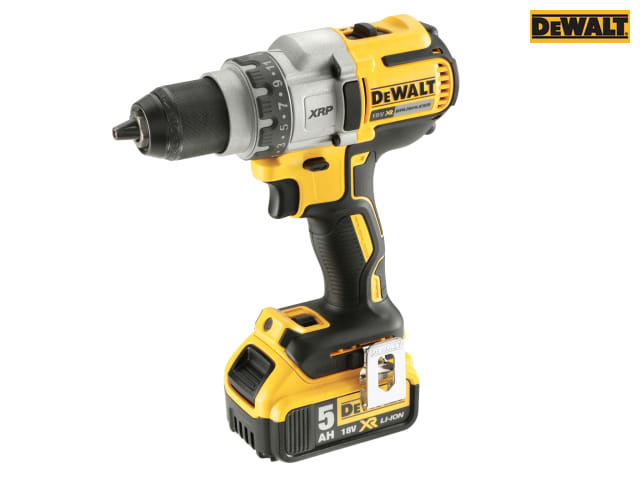 The DEWALT DCD991 Brushless Drill Driver has a 3 speed, all metal high performance transmission that has been optimised for fast application speeds and improved run-time. 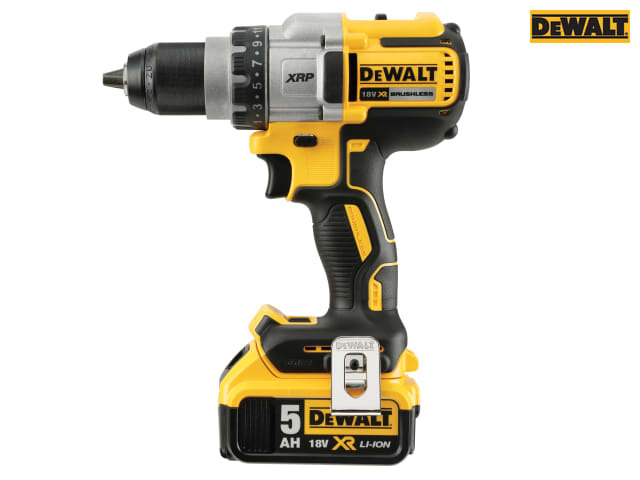 The DEWALT-built high power, high efficiency brushless motor delivers up to 57% more run time over brushed motors. With a heavy-duty 13mm ratcheting keyless chuck with carbide inserts for superior bit gripping strength. Also fitted with a 3-Mode LED that provides lighting in dark or confined spaces up to 20 times brighter than previous models. 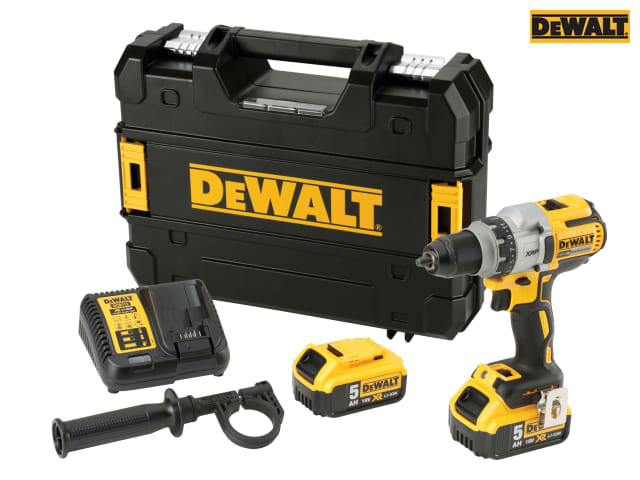 Supplied with: 2 x 18 Volt 5.0Ah Li-Ion Batteries, 1 x Charger, 1 x Belt Hook, 1 x 360° Side Handle and 1 x Kitbox. Capacity: Metal: 15mm, Wood: 55mm.